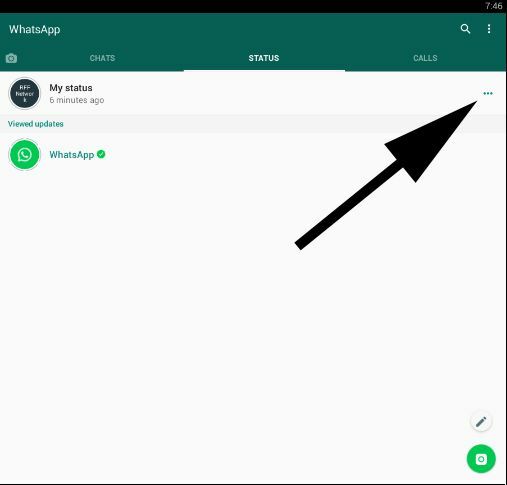 We will tell you how to delete a status that you have set on WhatsApp Messenger on this page. This guideline is for iPhone and Android. You can find settings for those devices on here. If you don’t know about how to write a status on your device, you can also read our guideline for iOS and our guideline for Android. Let’s tell your how to remove a status from your app. See Also: Do Notifications Still Work for Archived Chats on Whatsapp? 1-) Run WhatsApp Messenger on your Android device. 2-) Tap on “Status” on the messenger. 3-) Tap on “Three Dots” menu that appears near of your status. You can check the picture below to see location of that. 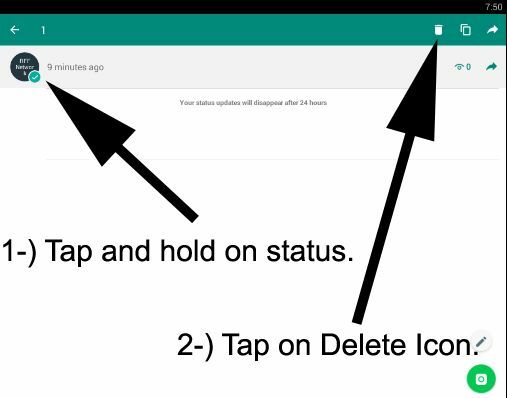 4-) Tap on your status and hold until you see delete option on the screen and tap on delete (trash) icon to remove your status. There will be a notify if you are sure to delete it. Tap on Delete and finish it. 1-) Run WhatsApp Messenger on your iPhone device. 2-) Tap on “Status” at the bottom menu of the application. 3-) Tap on “My Status” at the Status page. You can check the picture below, tap on the location where we have show with the arrow. 4-) Tap on Edit button where is located top right of the page. You can check the picture below for see its location on iPhone devices. 5-) Mark your current status with click on the circle which appeared after you tap on edit. Then tap on delete at the bottom right of the screen. If you are not redirected to main page of status or if you want to cancel update it, tap on Done. You are done, now you have deleted status on your iPhone device. Once you have deleted your WhatsApp status, you will not able to take it back again. If you have any questions about sharing status, please let us know. You can check our list for funny WhatsApp status.